Both Girls Camps run daily from 9am to 4pm. The Bergen County Location takes place at Saddle River Country Day in Saddle River, NJ. Campers in Westchester may sign up for anywhere to 1 to 6 weeks. Campers in Bergen County may sign up for anywhere to 1 to 4 weeks. 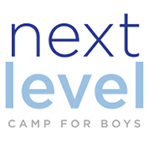 Next Level offers a delicious outsourced lunch program for campers who choose.